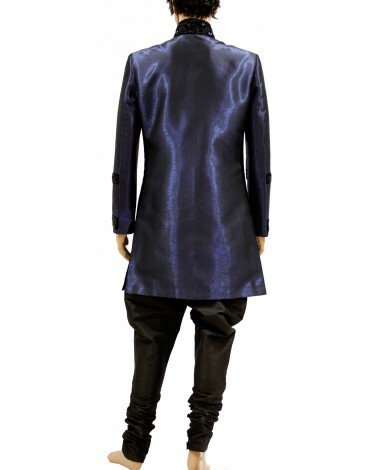 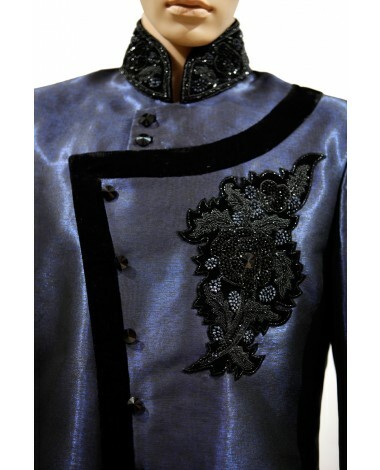 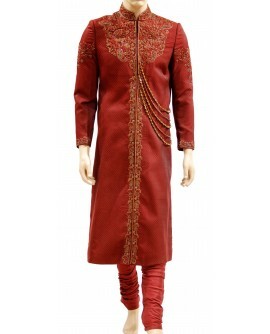 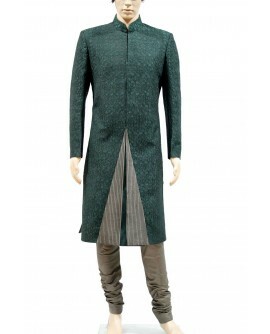 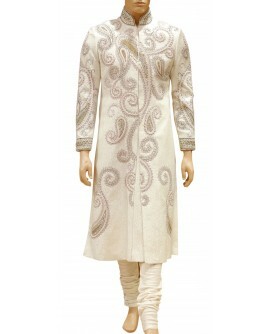 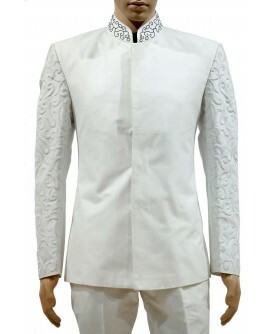 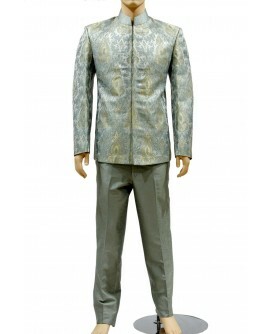 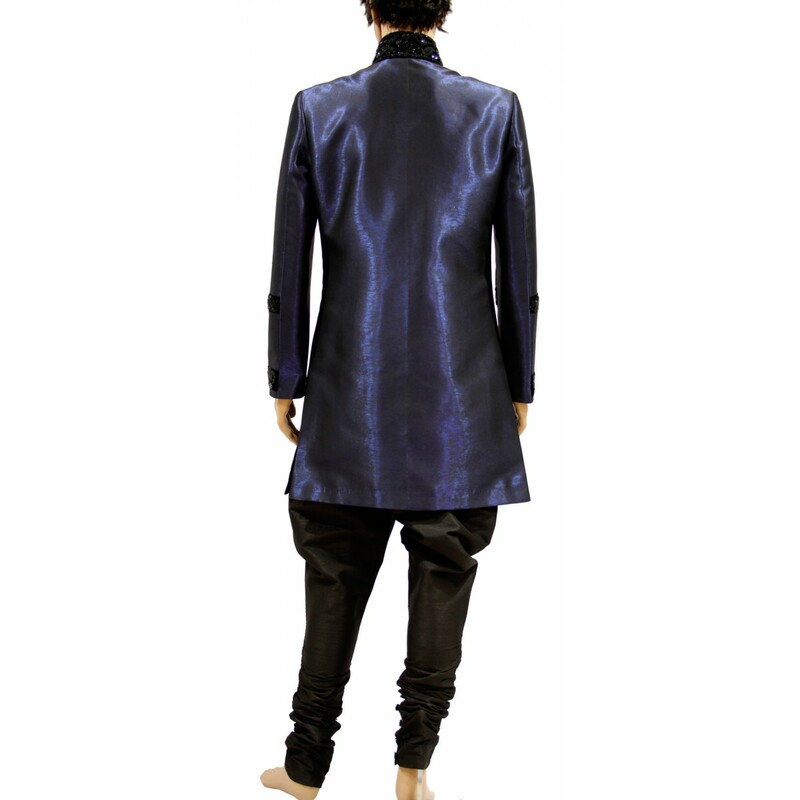 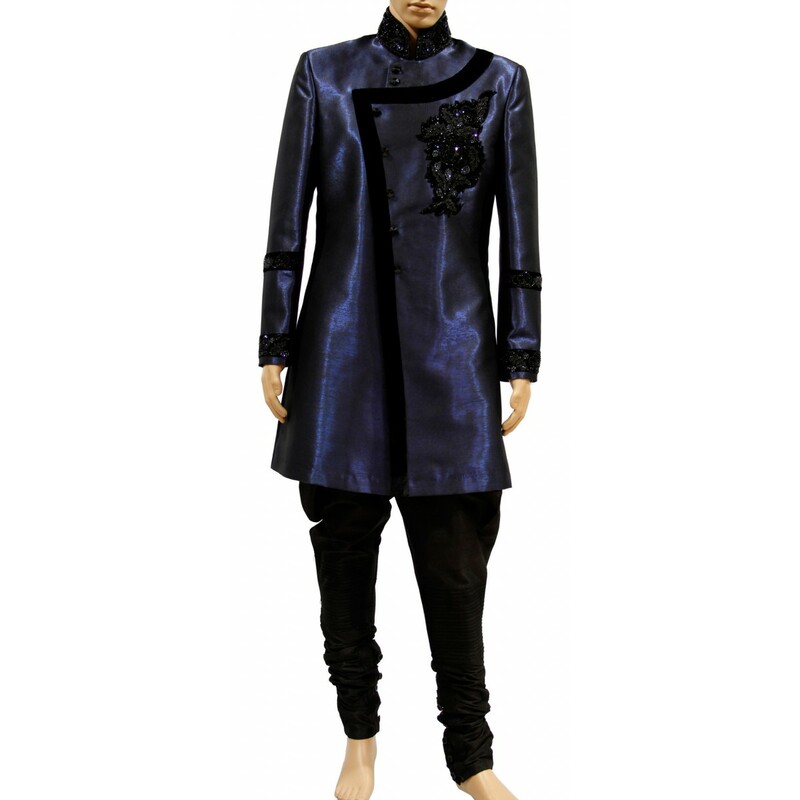 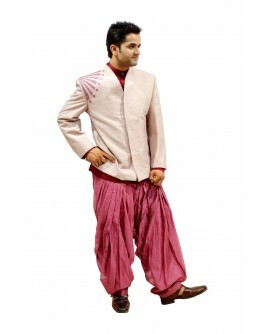 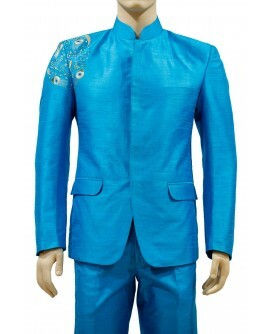 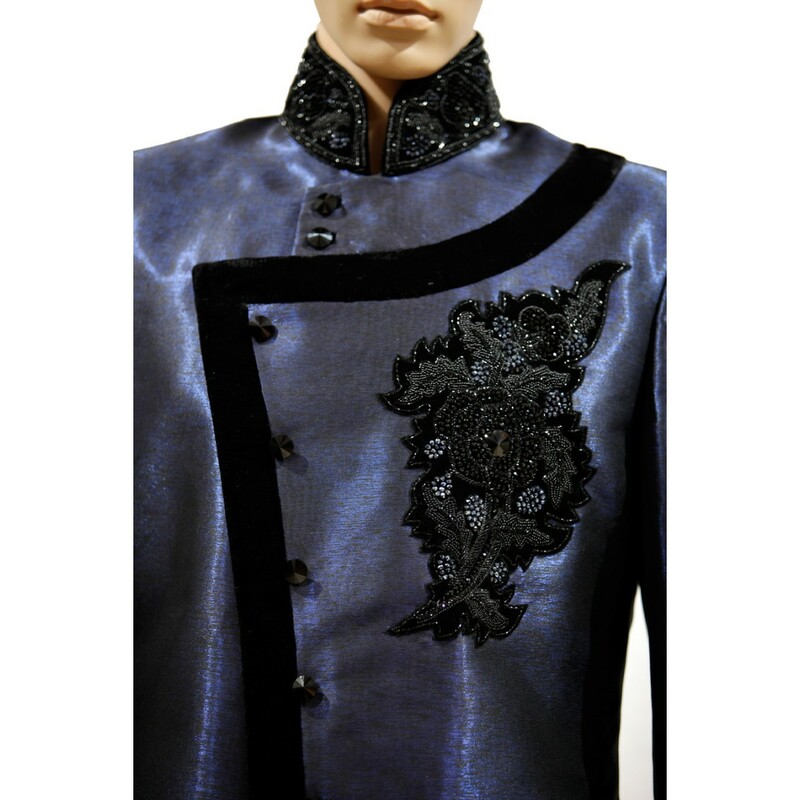 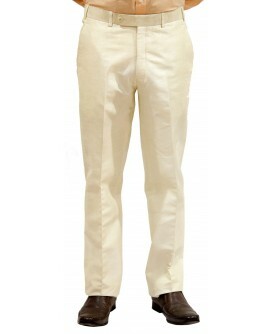 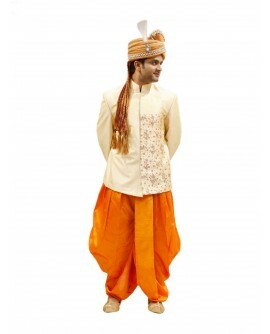 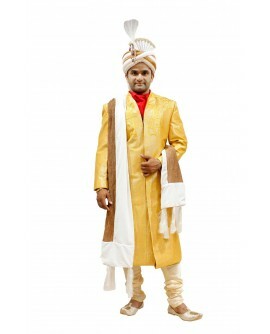 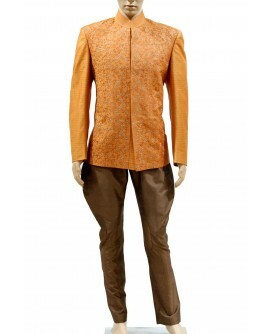 his men's blue brocade stylish indo western sherwani is designed as per latest ternd. 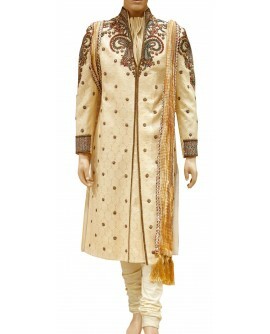 Adorned with resham, stone, sequins, crystal beads and patch border work. 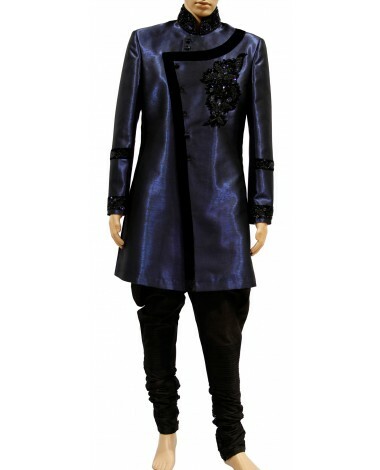 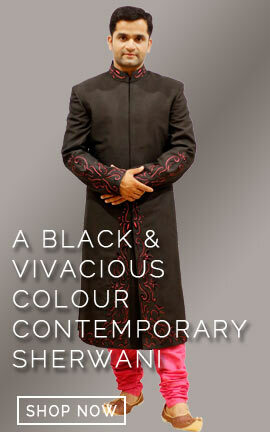 This men's blue brocade stylish indo western sherwani is designed as per latest ternd. 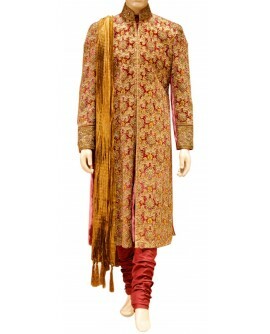 Adorned with resham, stone, sequins, crystal beads and patch border work.